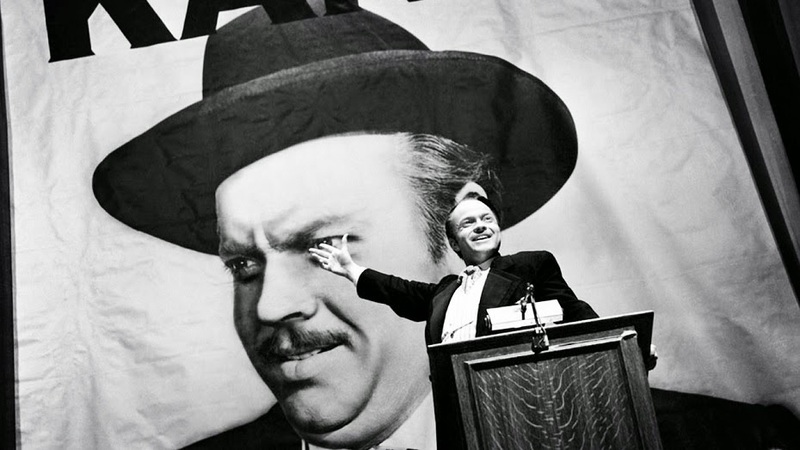 Last week was the 100th birthday of Orson Welles, so it only seemed appropriate that, with a dearth of compelling new releases at the box office, we should take this opportunity to re-evaluate Welles' greatest cinematic work, Citizen Kane. Spoilers: it still totally holds up. If you've never seen Citizen Kane, you'd be forgiven for expecting it to be kind of overrated. It's been at the top of every "Greatest Movie Of All Time" list for decades now. How can one movie really be THAT good? But then you watch it and you have to keep reminding yourself that not only was it shot over 70 years ago, but that Orson Welles wrote, directed and starred in the film at the ripe old age of 25. It's one of those facts that instantly forces you to question all of your life choices. Kane is astoundingly ahead of its time and it continues to influence countless modern day features, everything from Pulp Fiction to Birdman. There's one scene in particular that is now impossible to watch without immediately recalling The Wolf Of Wall Street. Bart and I even found a number of things that reminded us of our own film projects over the years. Looking back it seems like we're doing direct homages, but we hadn't actually seen Kane at the time. But Welles' contribution to the visual language of cinema have become so ubiquitous that film fans like us have been internalizing them for years without even knowing it. I'm rather proud of this episode. It's relatively short and we spent a lot more time discussing theme and subtext than the actual plotting of the film. I'd like more of our podcasts to be like this. We also attempted a new method of podcasting remotely, as Bart could not actually be on the premises at the time. The audio quality suffers a bit for it, (for some reason I can't explain, Bart actually sounds louder and clearer than Jeff and I do) but we'll perfect the process eventually. At the end we also get revved up for Mad Max: Fury Road and start to take stock of the string of summer blockbusters peeking out over the horizon. As always, please subscribe on iTunes or SoundCloud! Next Week: The whole damn Mad Max franchise!